Kathy is one of our fantastic mentors for our training programs, and a fantastic person all around. We love the energy and positive vibes she carries with her each and every day. 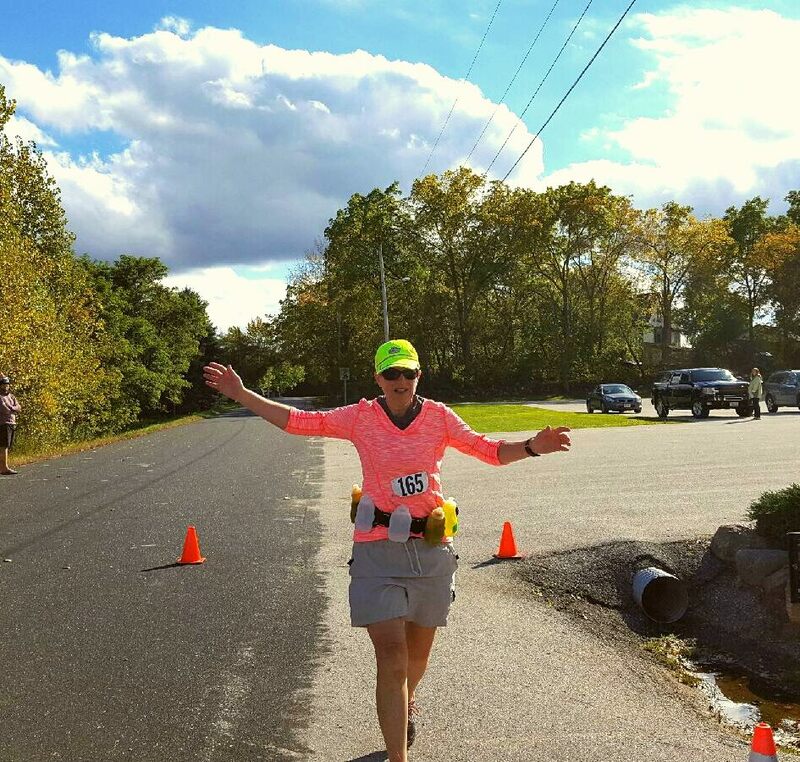 She recently completed her first Ultramarathon, and we put her in the Fleet Feet Sports Fox Valley blog driver's seat to share her experience. Congrats Kathy, and we can't wait to see what boundaries you push next! Many people have a (mis)perception of being inadequate in athletics. I never thought of myself as an athlete, which my strength coach first called me this year and it was different. She called me the “A” word! It felt strange to be labeled athletic. I thought of myself as active. An athlete in my mind was a football player who ran fast and had big muscles or athletes were the people in the Olympics who ran in track events, who seemed to be able to run forever. All of that natural talent, I didn’t possess. They didn’t have to work hard to achieve those goals, right? For years I believed I would be judged for not being perfect if I went to the gym to workout. I would be laughed at if I entered a running event because I might have to take a walk break and that was against the rules, right? Kathy as she crossed the finish line! I poked a hole in my cocoon in 2011 when I took the first steps toward my healthy lifestyle journey. November 2013 I broke free of my cocoon. My inspiration and son, Aaron, said he saw something called the Turkey Trot and he wanted to run in it. Me: “How far do you have to run?” Aaron: “Two miles!” Me: “Why in the world would you want to run two miles?” Aaron: “You get pie!” And so my running career began. I didn’t die during those two miles of torture on my body! But I did learn a few things about “athletic” runners: They cheered, encouraged and told me I did a good job. Not one of those athletes acted how I imagined. The only flack I received was from my buddy who lovingly taunted me to keep me moving. After this event I began to wonder, if I am capable of going 2 miles, could I run a 5K and so the caterpillar began to fly. Sunday, October 9th, I officially became an ultra-marathoner! 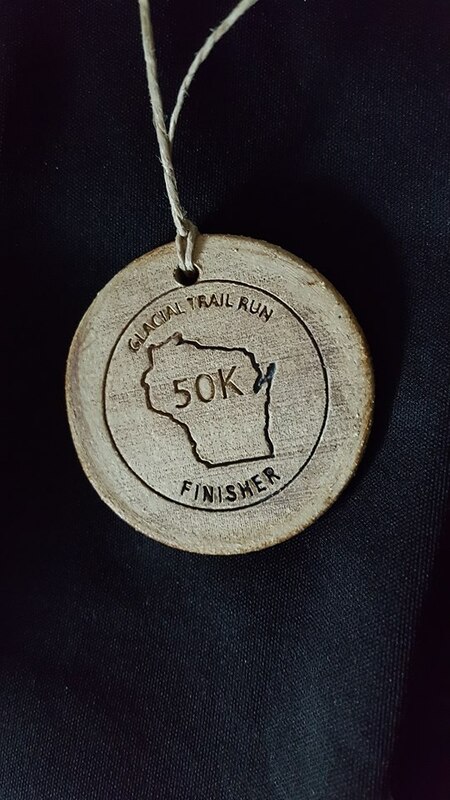 I participated in the Glacial Trail 50K! So how did I get this far? My training included running hills, weight lifting, core, balance, stretching, long runs, tempo runs, speed work, power hikes, cross training such as Stairmaster, elliptical, rowing machine, yoga and spin class. Oh, and I did take a rest day which is not my favorite day. I don’t always want to get up and get moving. However, I want the feeling of accomplishment, the “I did it” feeling more than not training. I have adopted a no excuse policy. Sometimes I need to split my training schedule into segments due to other obligations, but I get it done. Also, I am inspired by the Special Olympics athletes and oath: “Let me win but if I cannot win. Let me be brave in the attempt.” Aaron taught me this through all of his challenges in life. So far I have participated in more than 58 events ranging in distances from 5K to 50K. My number one goal has always been to cross the finish line. I learned success is the result of hard work, determination plus smart, motivating, kind, and caring coaches, mentors, tons of support from family, friends, volunteers and fellow participants. So what boundary are you going to push through today? The finishing medal: Congrats Kathy!